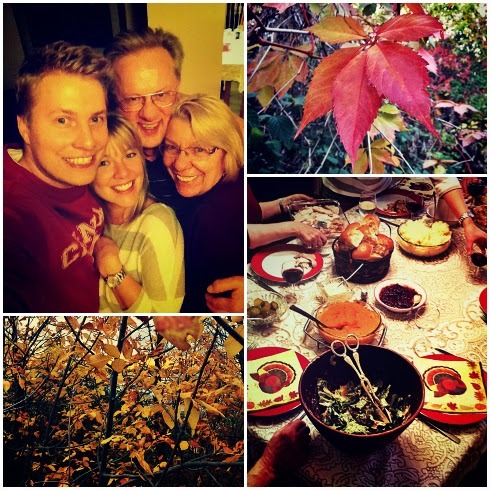 Our Thanksgiving celebrations have never really been that elaborate. A stuffed turkey, the usual starches, and a few rounds of giving thanks seem to sum up the occasion. Spending time with the family is especially nice though, and my folks cooked an amazing meal for us to enjoy. A few games, lots of laughs, and full bellies makes it easy to be thankful for all we've got - and let's be honest, it's easy to forget sometimes. Cheers to you and yours on this festive turkey day. Happy Thanksgiving!